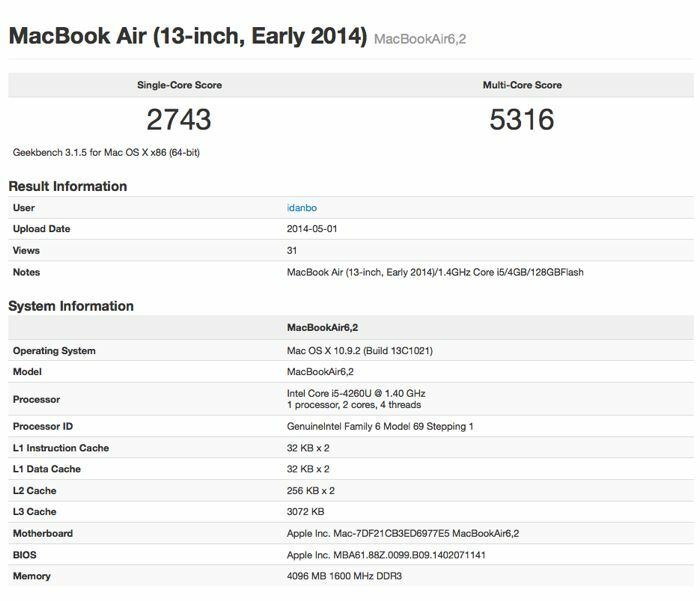 Earlier in the week Apple release their new 2014 MacBook Air, this new MacBook Air comes with a faster processor than the previous model. The device has now appeared on the Geekbench benchmarks, and the device shows a small performance boost over the preview version. The 2014 MacBook Air now comes with a faster 1.4GHz Intel Core i5 processor, other specifications on the device remain the same, and it comes with 4GB of RAM as standard. One change that Apple made with the 2014 MacBook Air was the price, rather than a price increase, we saw the price of all models of the MacBook Air reduced by $100. 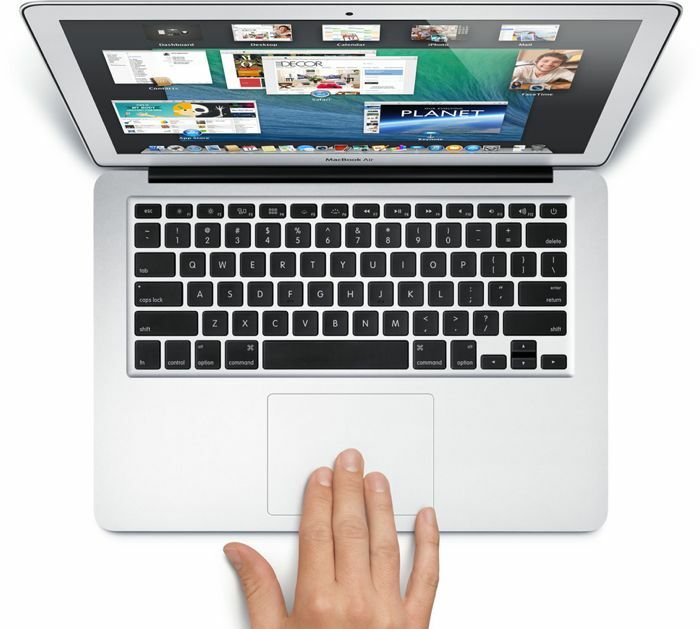 The 2014 MacBook Air is available with two screen sizes, one with an 11 inch display, the other with a 13 inch display, and there are two models of each device to choose from. In the UK the 11 inch MacBook Air now retails for £749, and the 13 inch model now retails for £899, the top model comes with 256GB of storage, the 11 inch top model retails for £899 and the 13 inch top version now retails for £999.